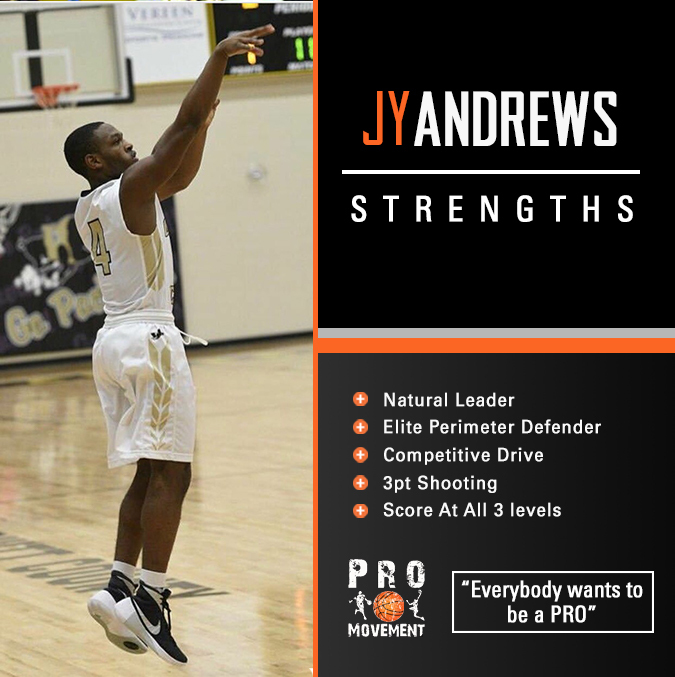 Competitor, leader, & a true student of the game would describe Jy Andrews very well. It’s rare that you find a player that HATES TO LOOSE in today’s era of basketball players. That competitive edge is missing from most players. However, Jy brings that edge to every practice & game. His passion for the game is admirable as he pushes himself everyday to evolve into the best basketball player he can be. 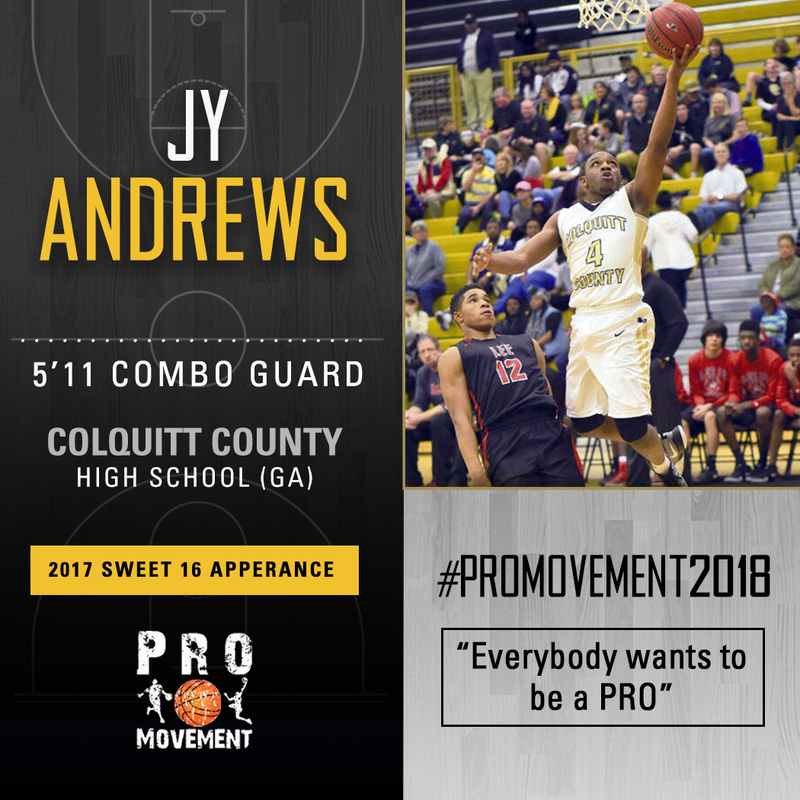 Jy is an excellent perimeter defender and was often the spark plug for Colquitt County this year. He was a integral piece to the success of Colquitt County last year, finishing with a 21-7 record & Sweet 16 appearance. Now, his older brother DaNas & sharp shooter Tyrese King have graduated (both Paul Quinn College Signees), leaving a bigger role & opportunity on the table. Pay attention to Jy Andrews as the #PROMovement staff expects him to have a breakout senior season. Jy Andrews is a player you want on you roster, period. He always takes the challenge to guard to opposing team’s best offensive perimeter players, competes at a very high level & most importantly: Jy hates to loose. Whether, it’s a pick up game in the summer or in the Sweet 16 against one of the most dominant teams (Norcross HS) in Georgia high school basketball history, Jy refuses to loose & always puts forth his best effort. His competitive drive is far superior from his competition. Jy is a high character young man you want in your locker room & a young man you want in you school’s community.